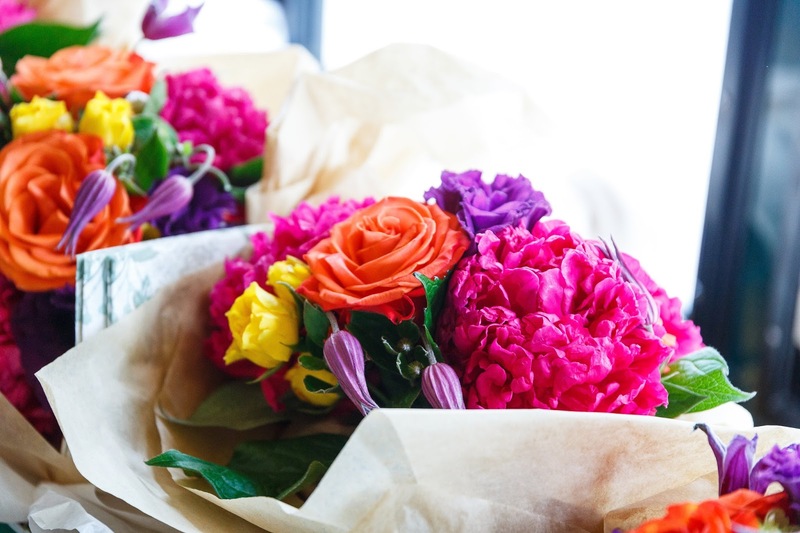 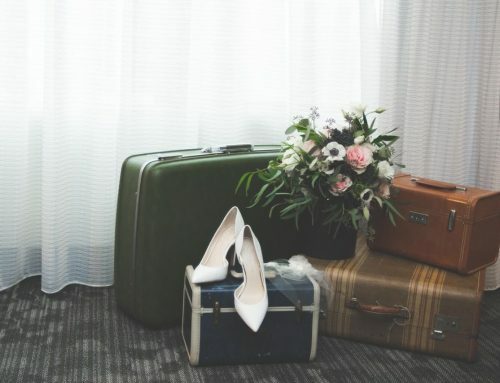 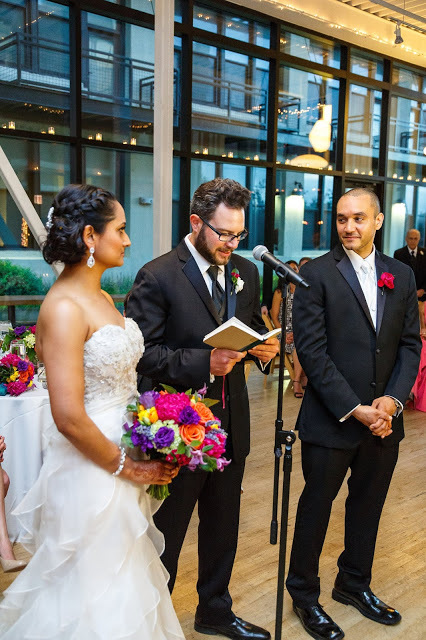 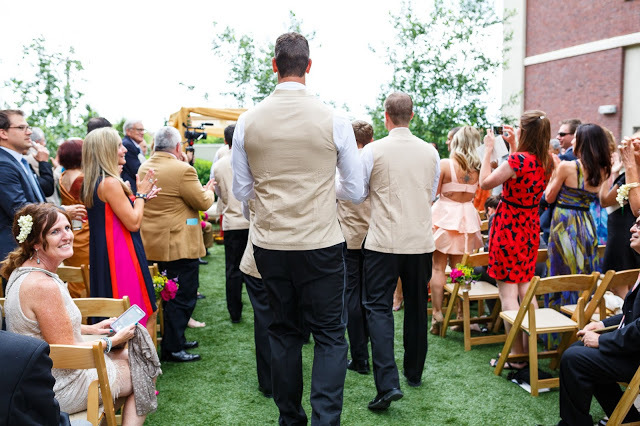 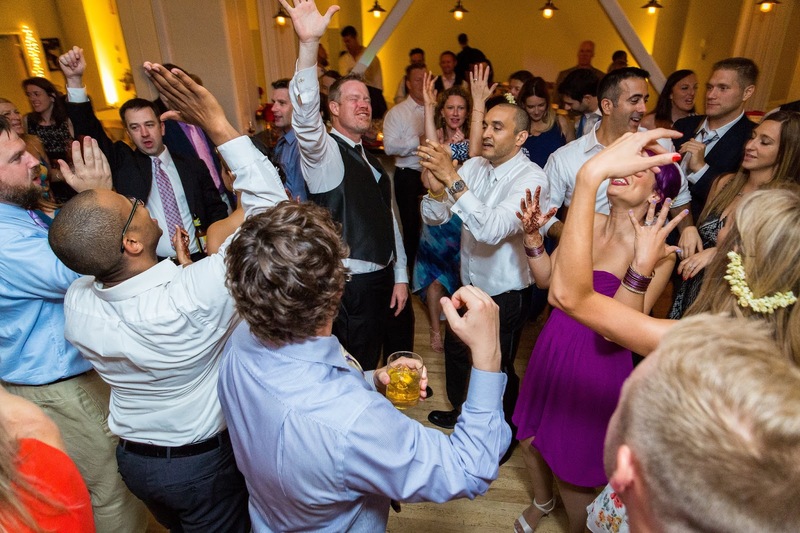 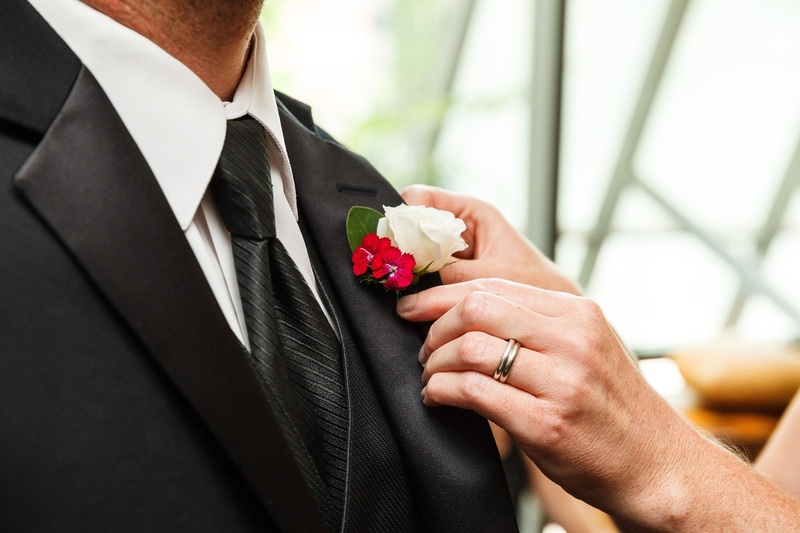 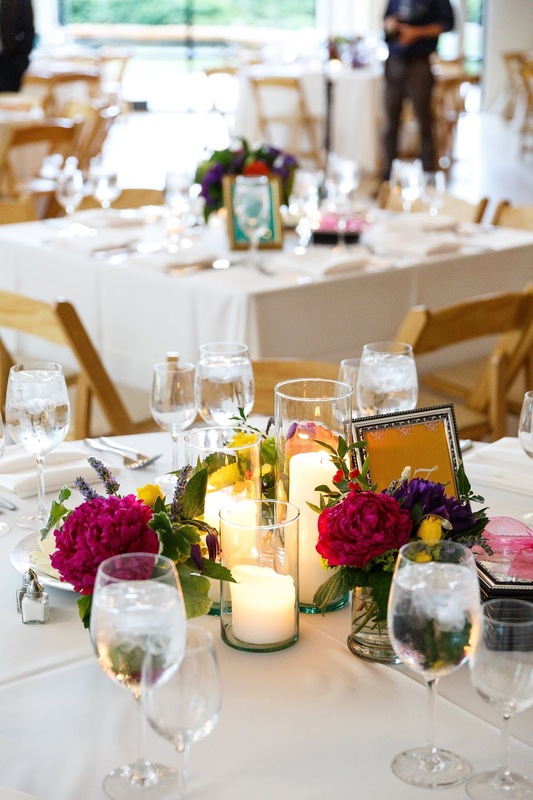 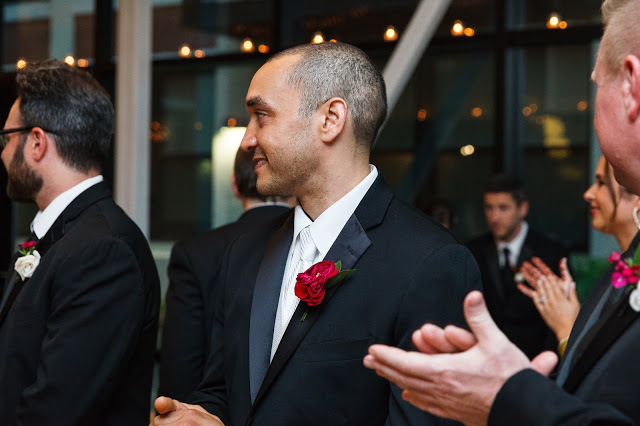 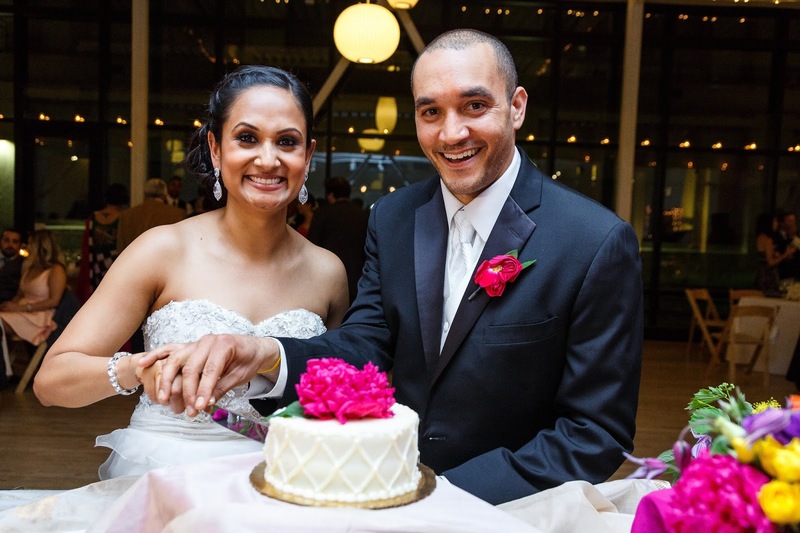 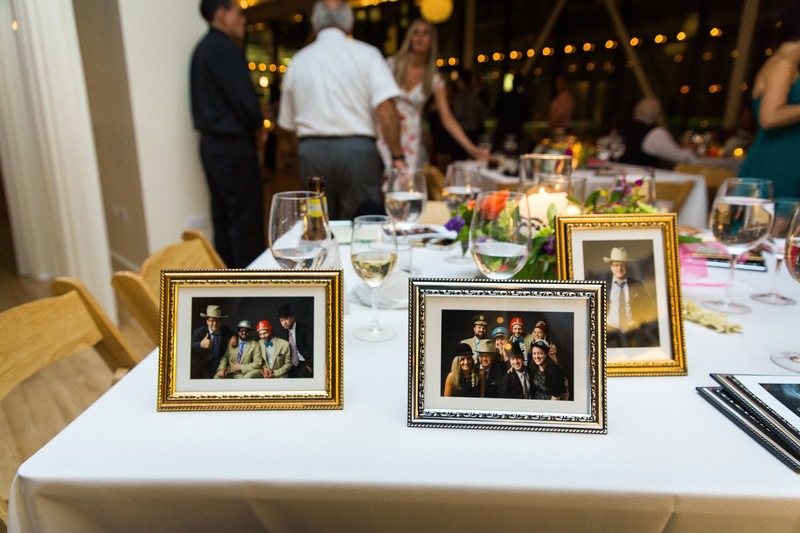 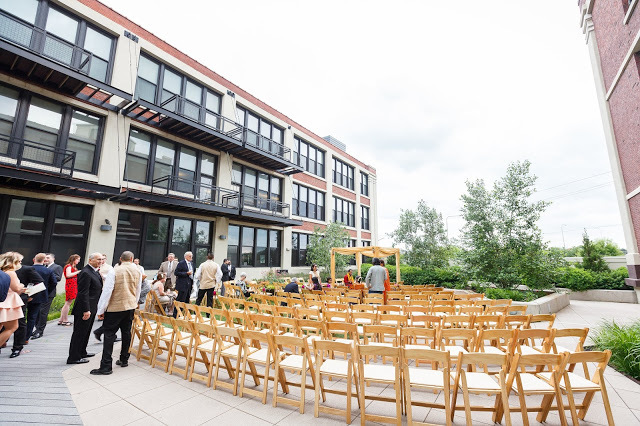 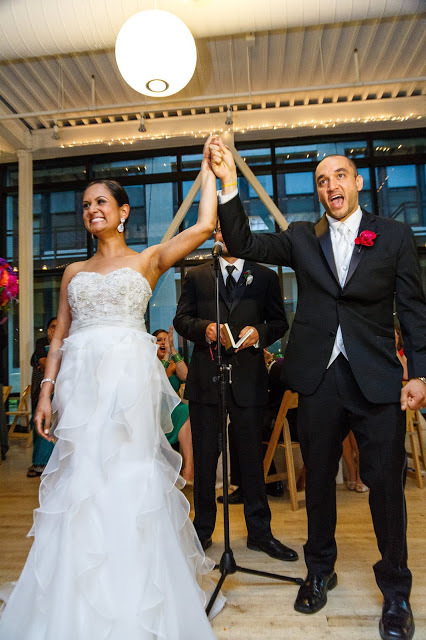 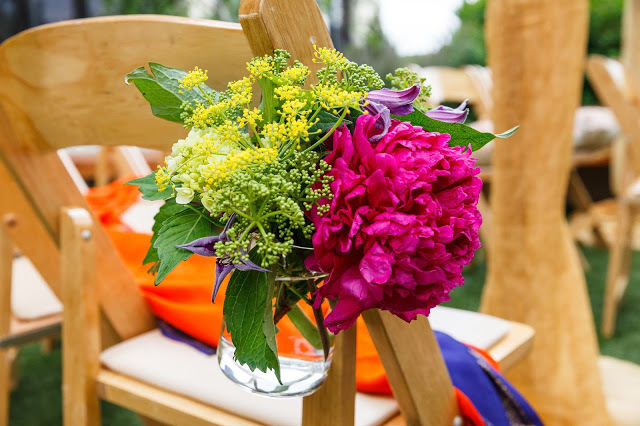 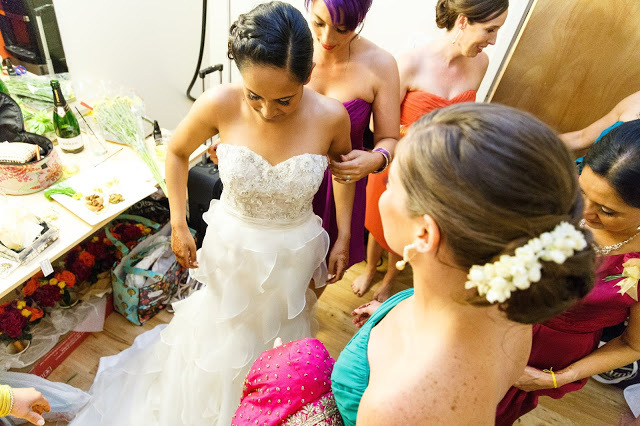 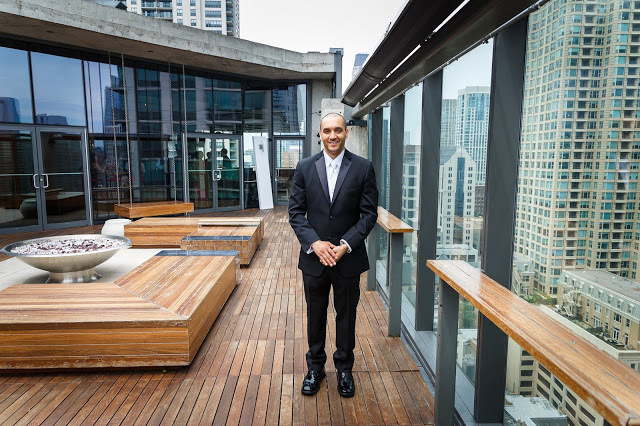 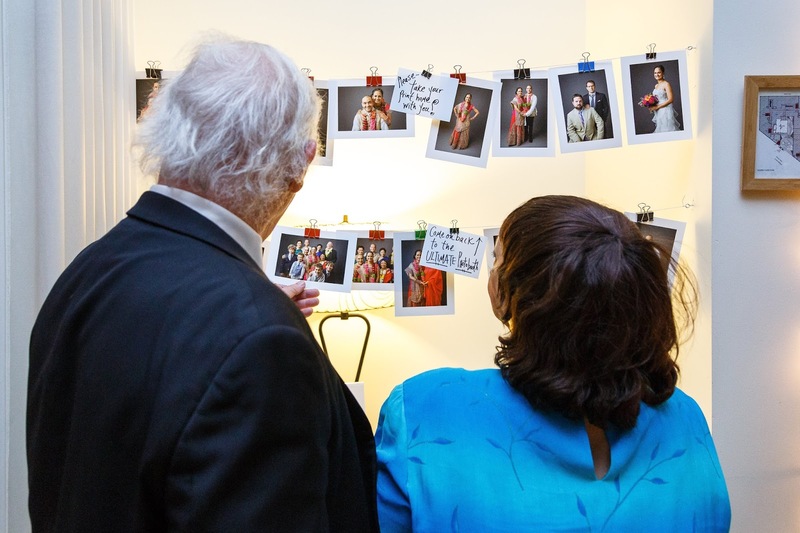 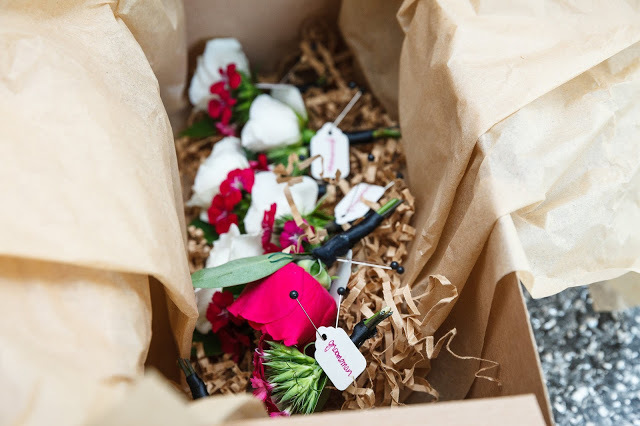 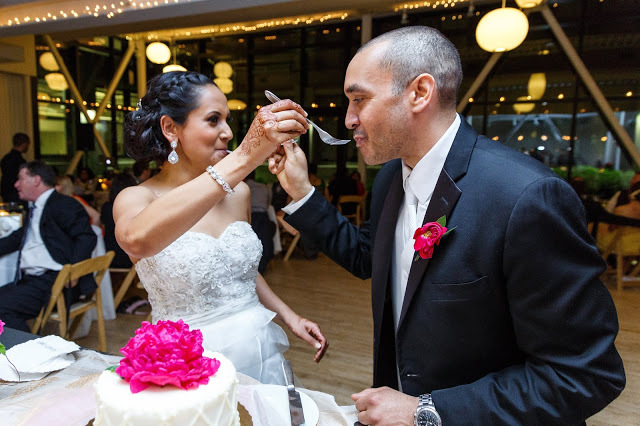 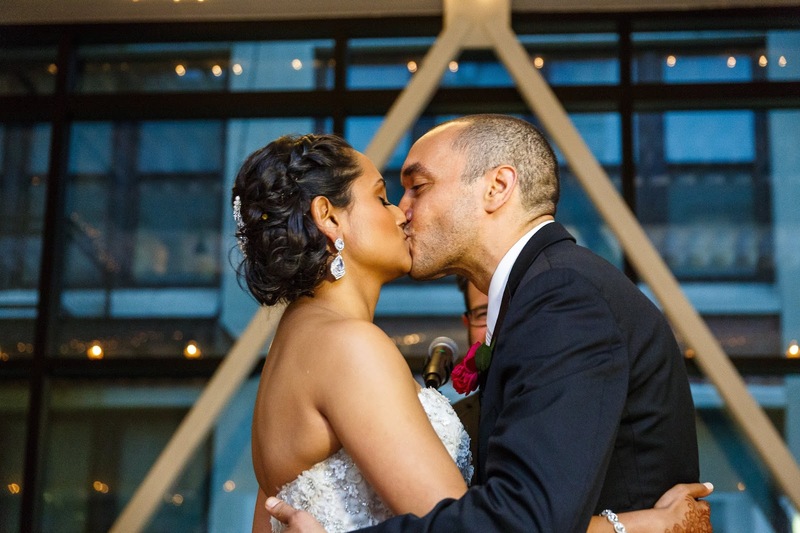 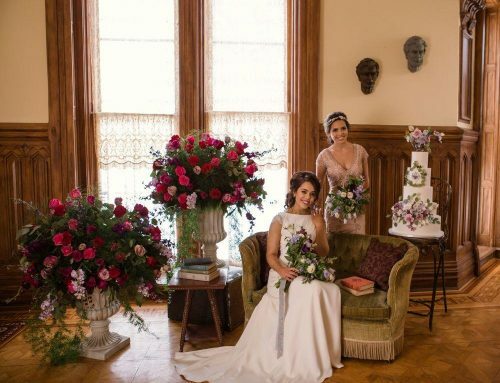 When we arrived at Greenhouse Loft, it was time for the first of two ceremonies to begin. 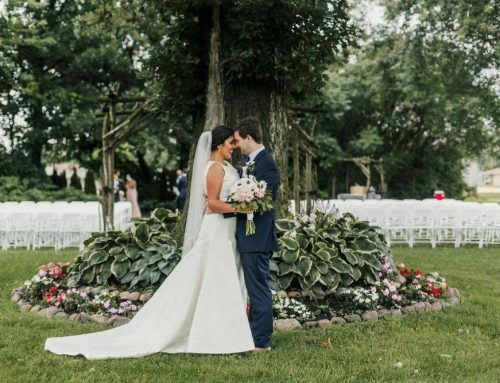 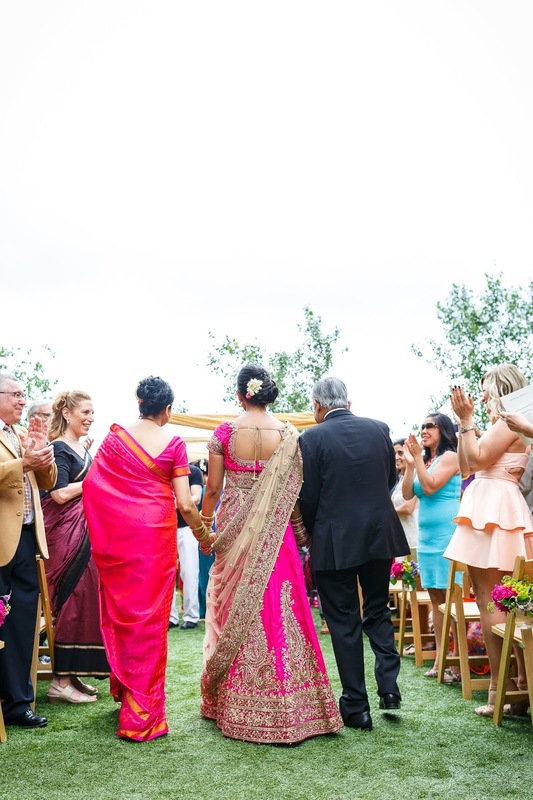 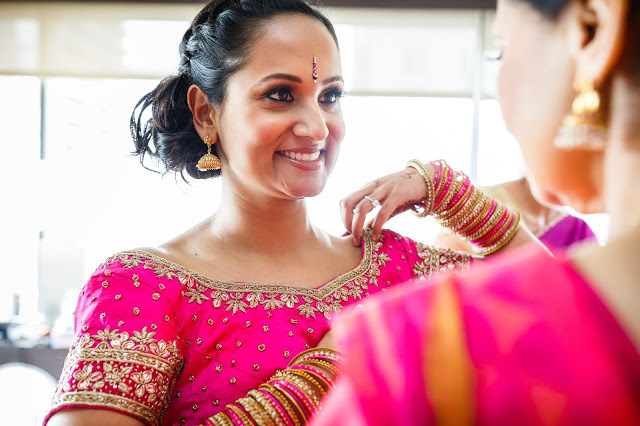 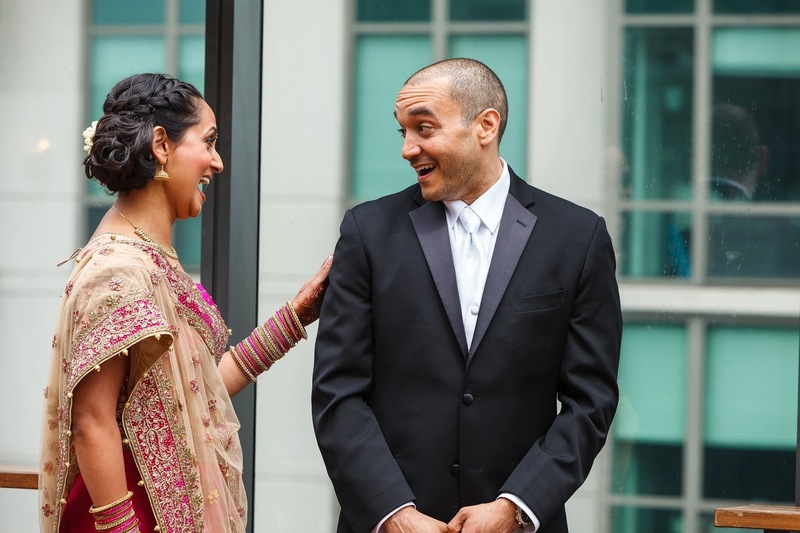 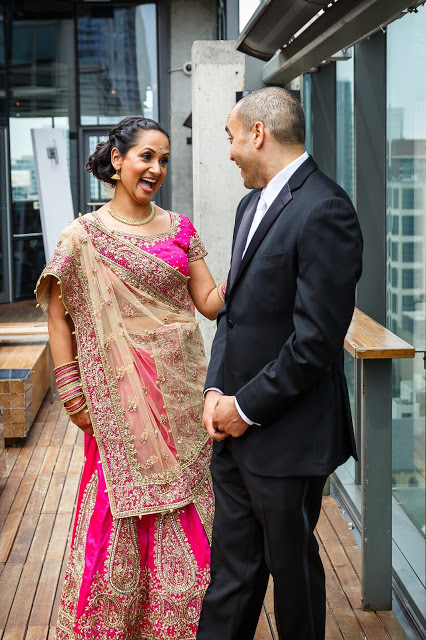 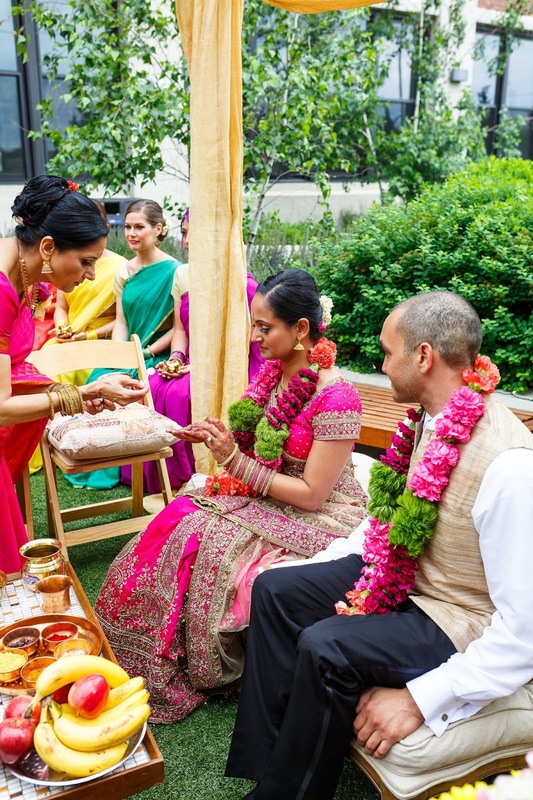 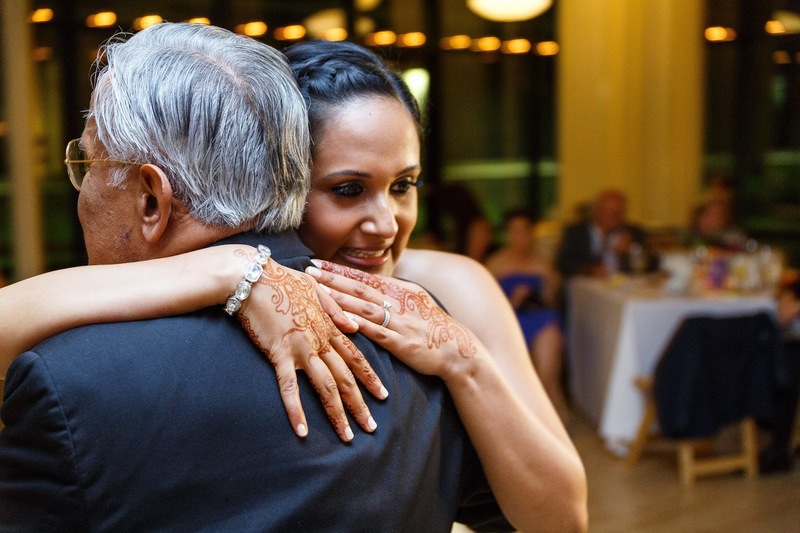 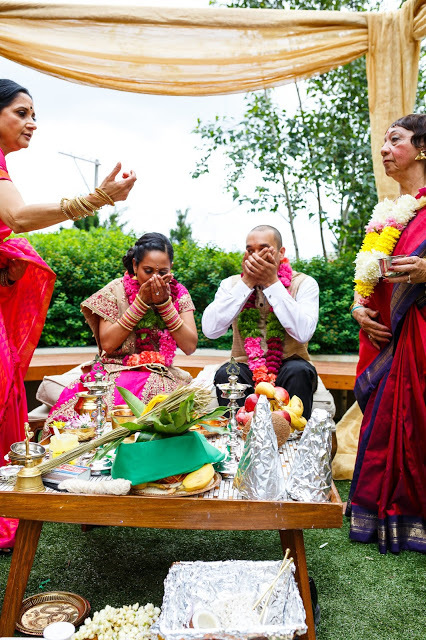 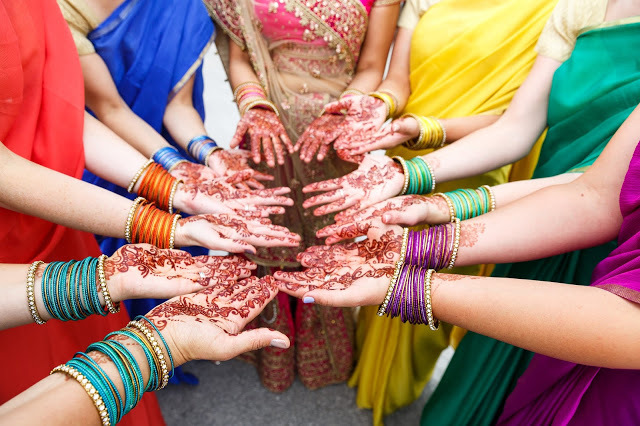 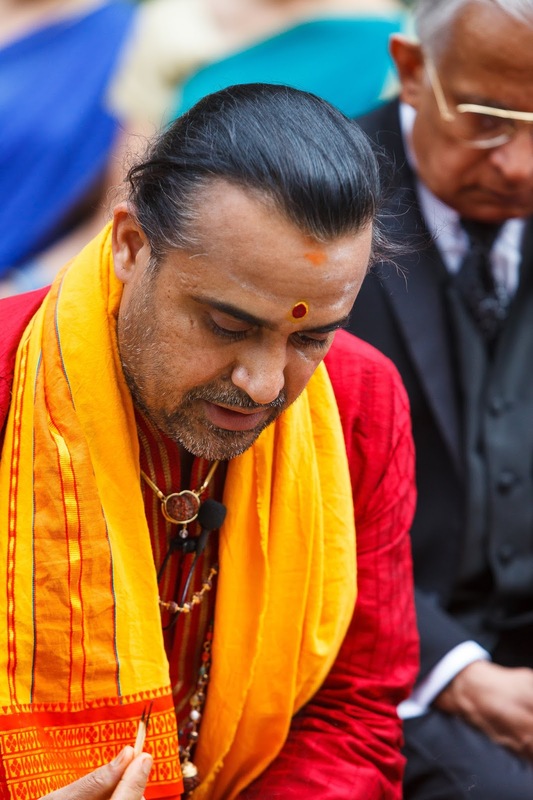 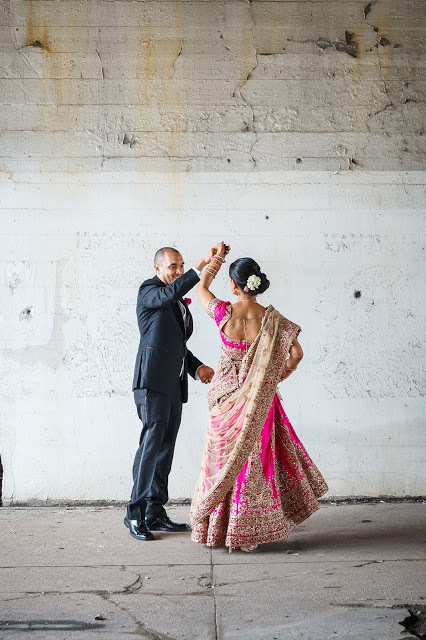 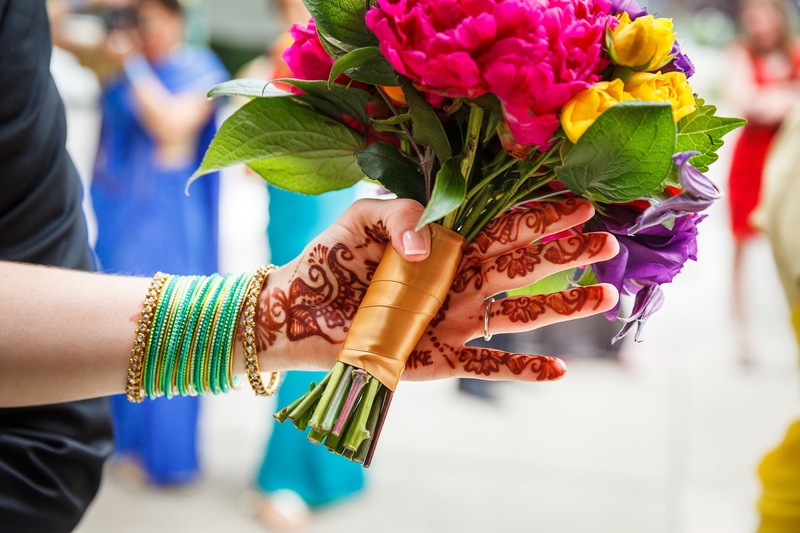 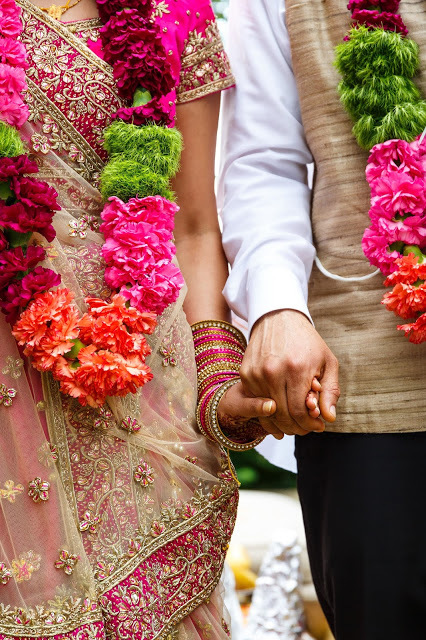 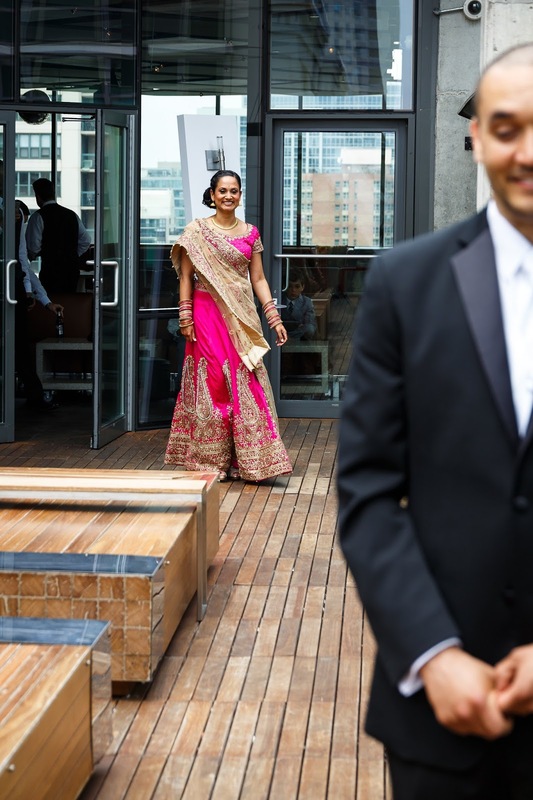 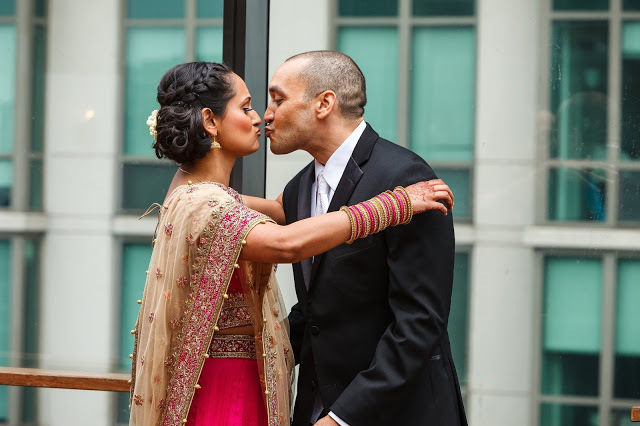 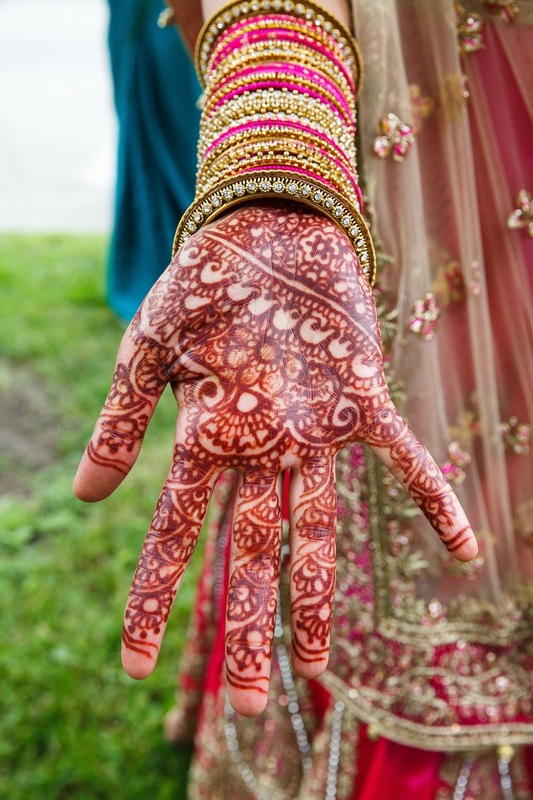 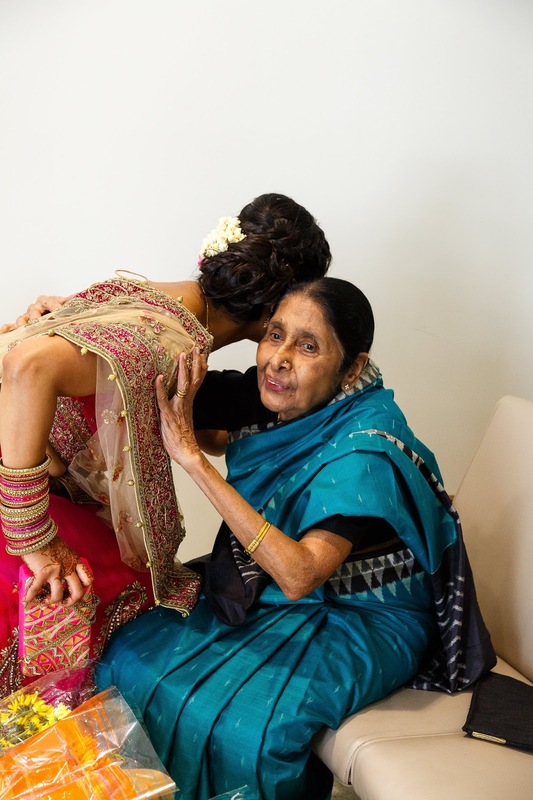 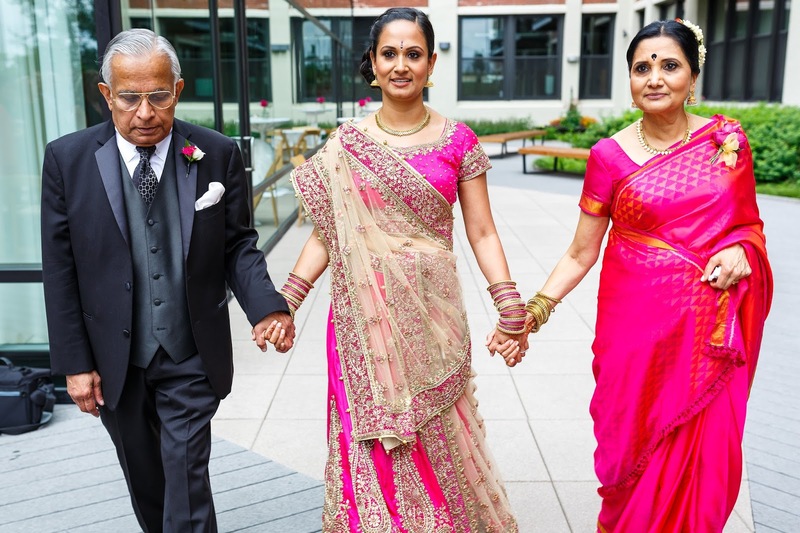 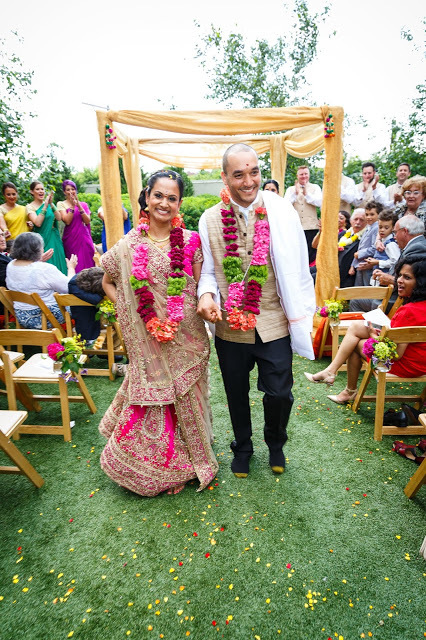 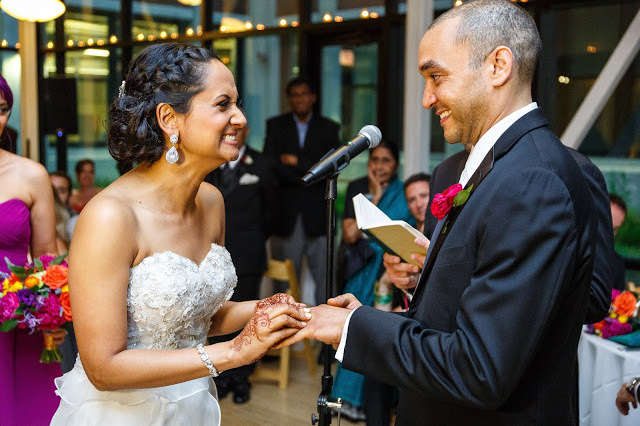 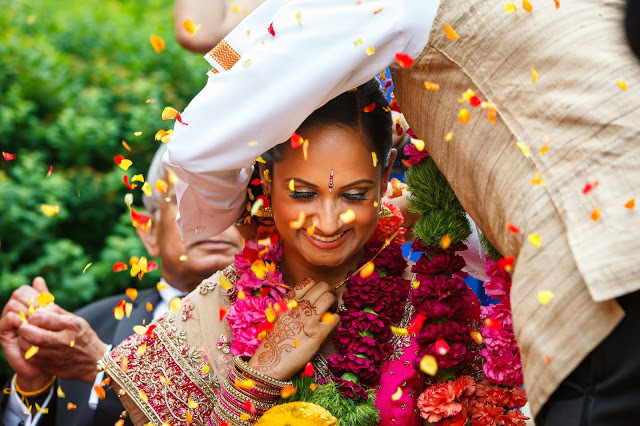 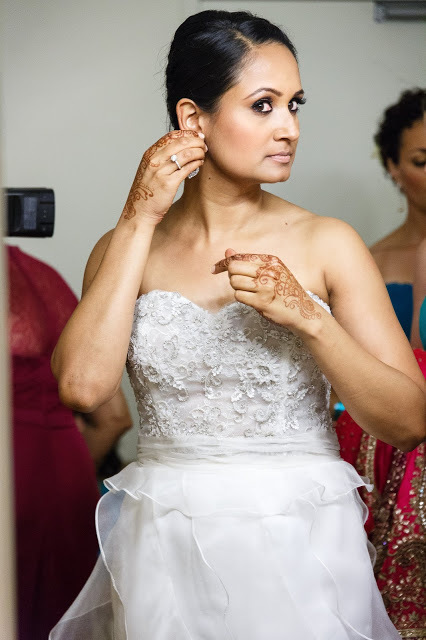 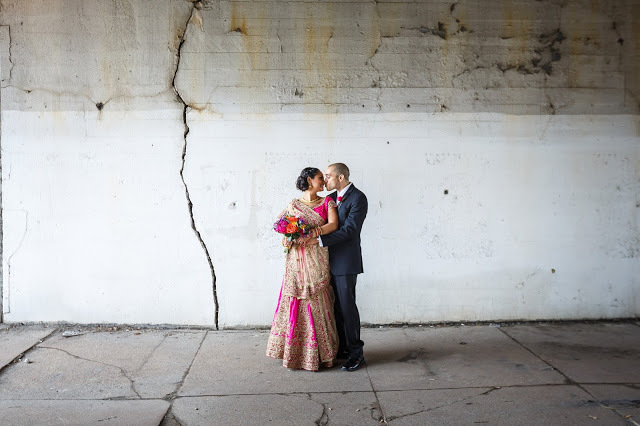 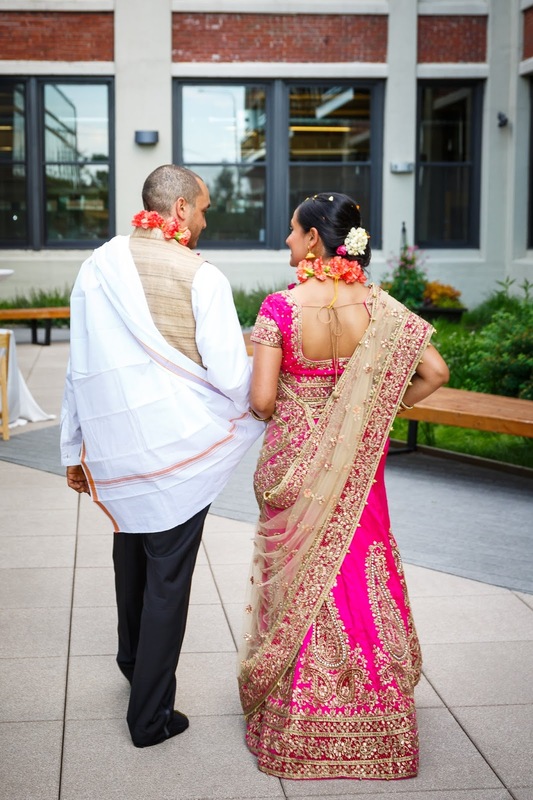 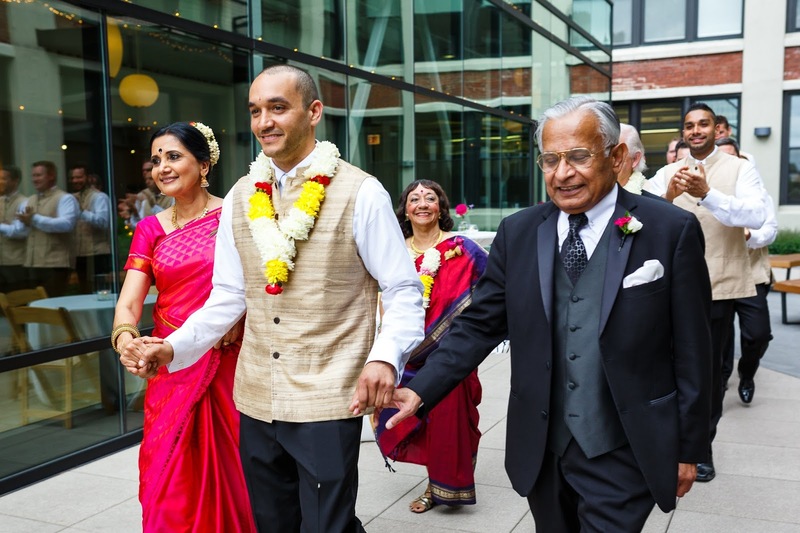 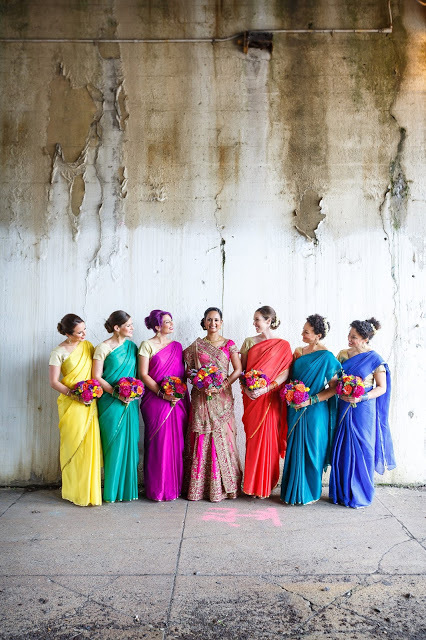 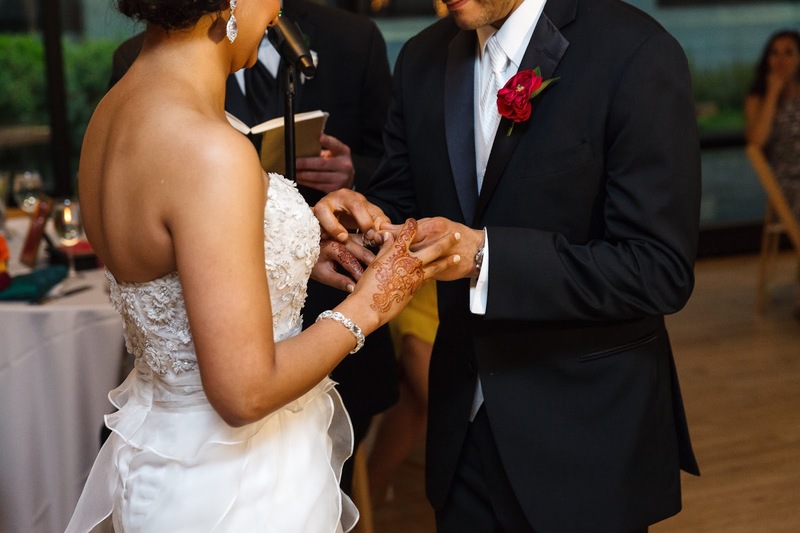 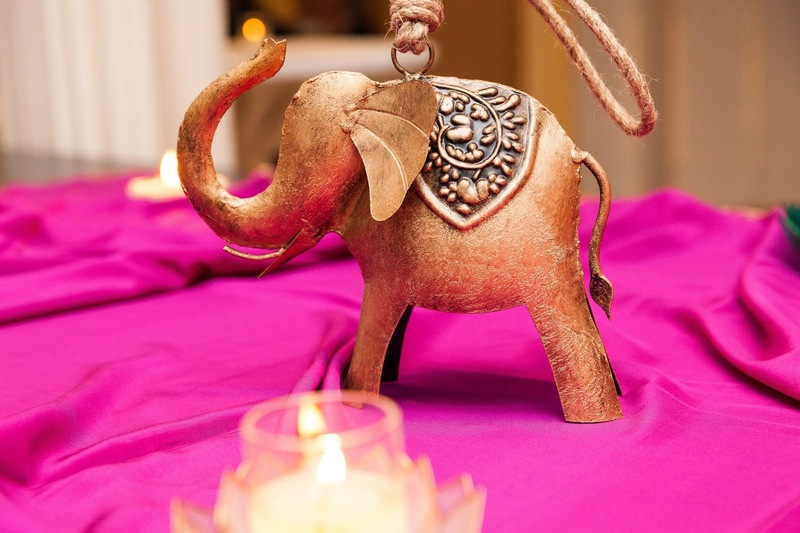 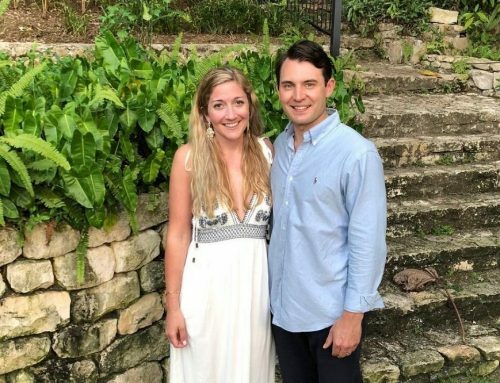 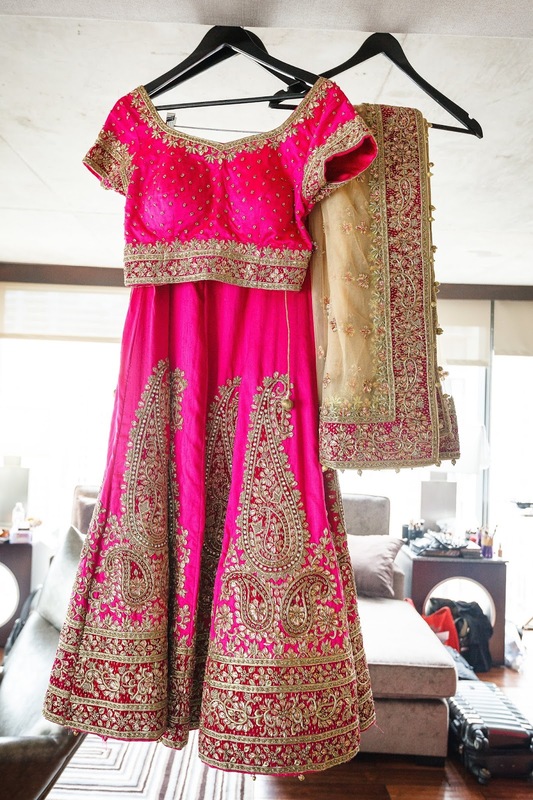 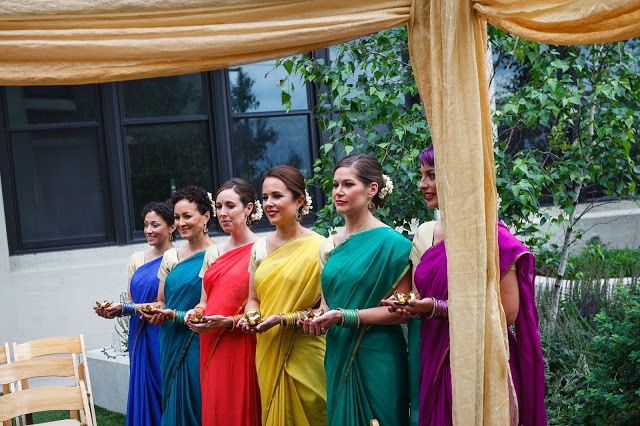 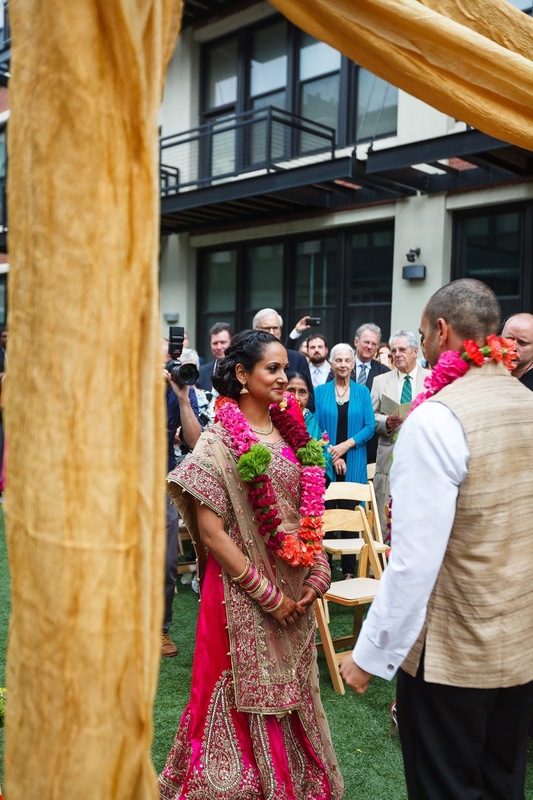 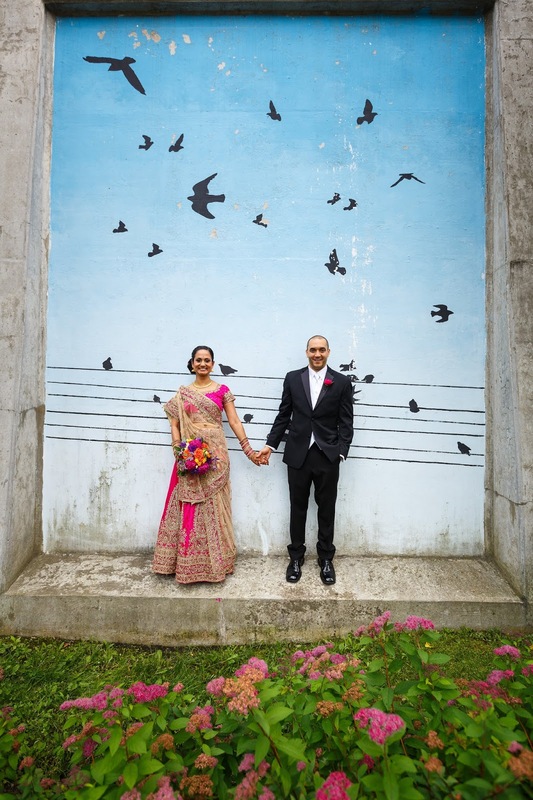 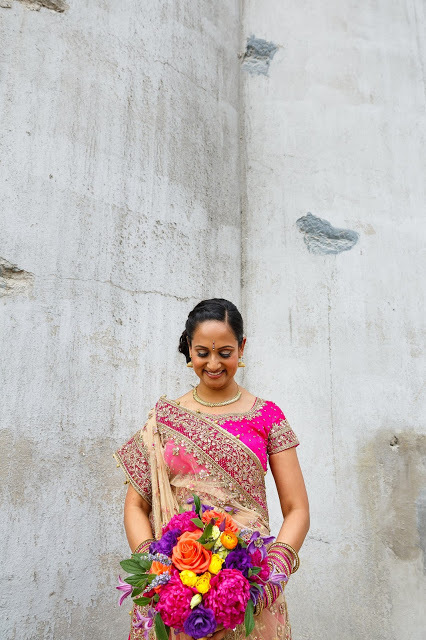 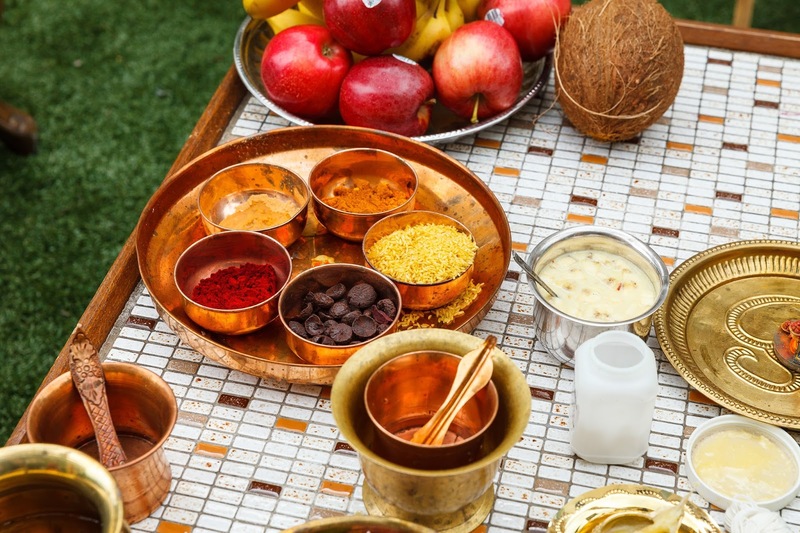 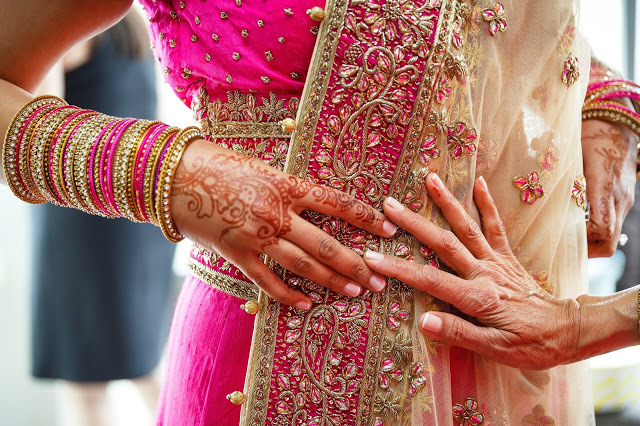 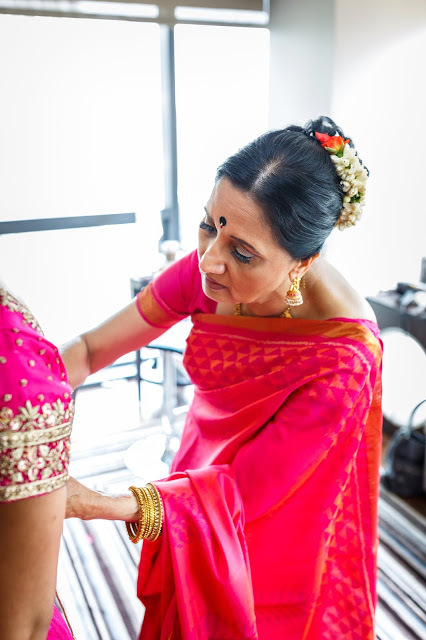 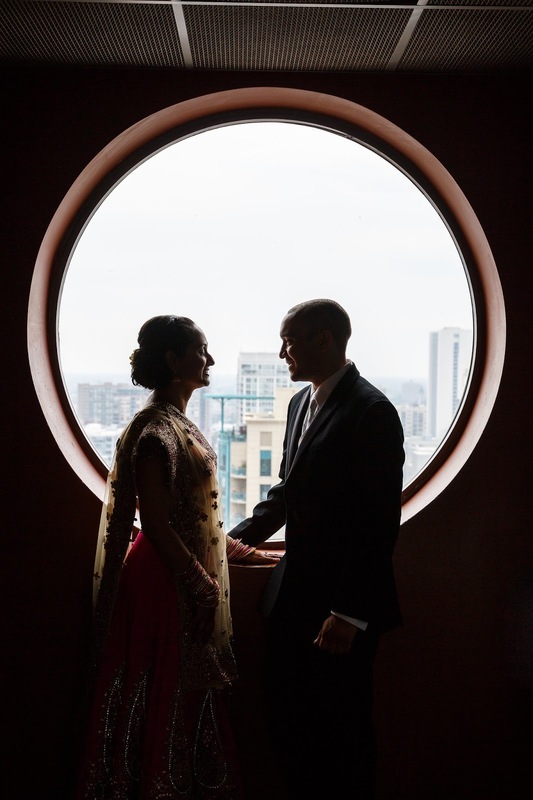 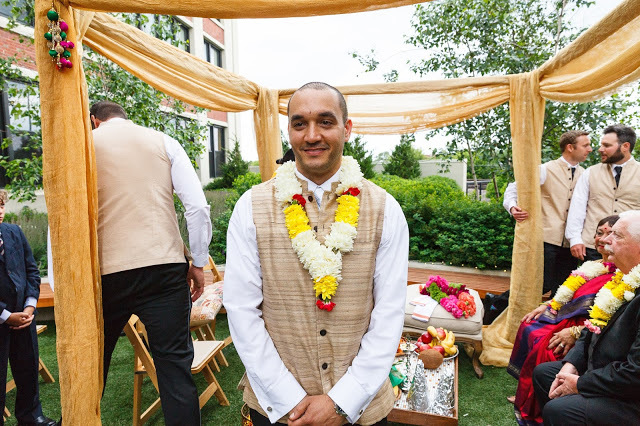 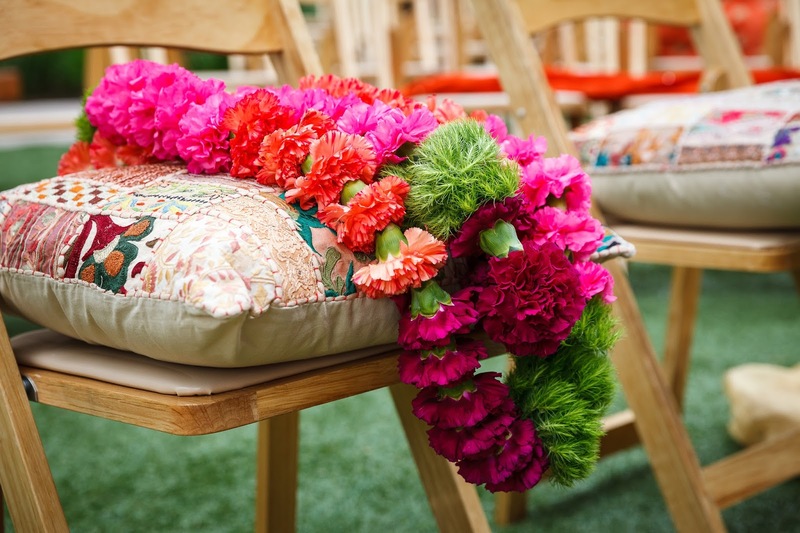 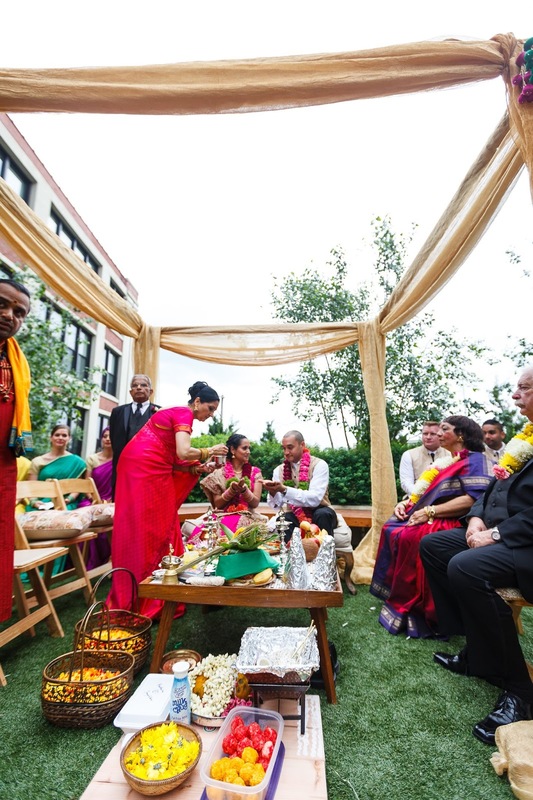 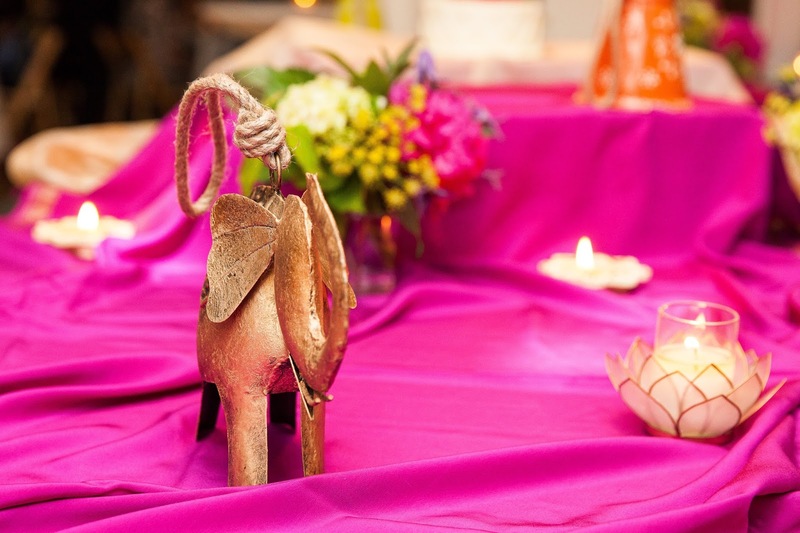 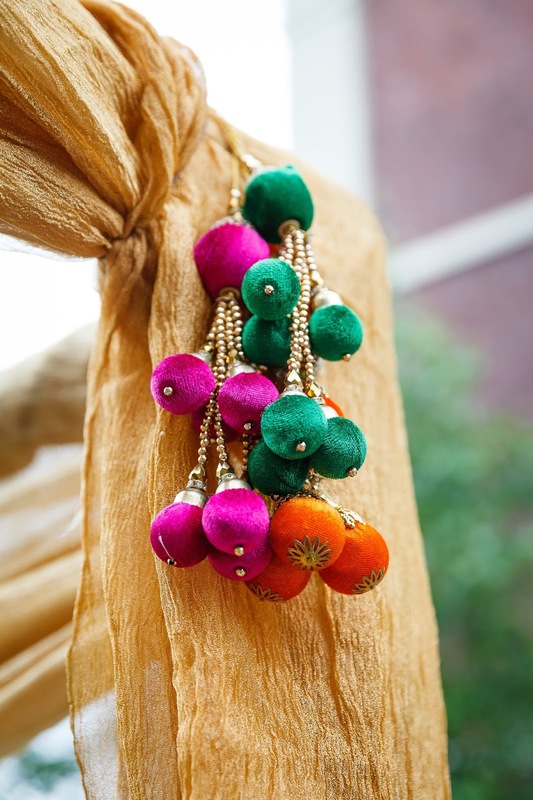 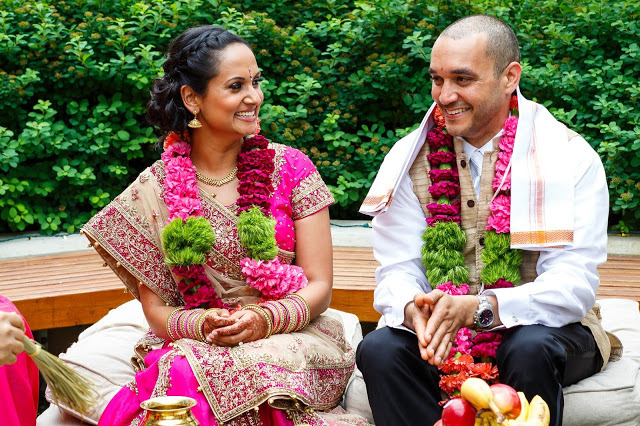 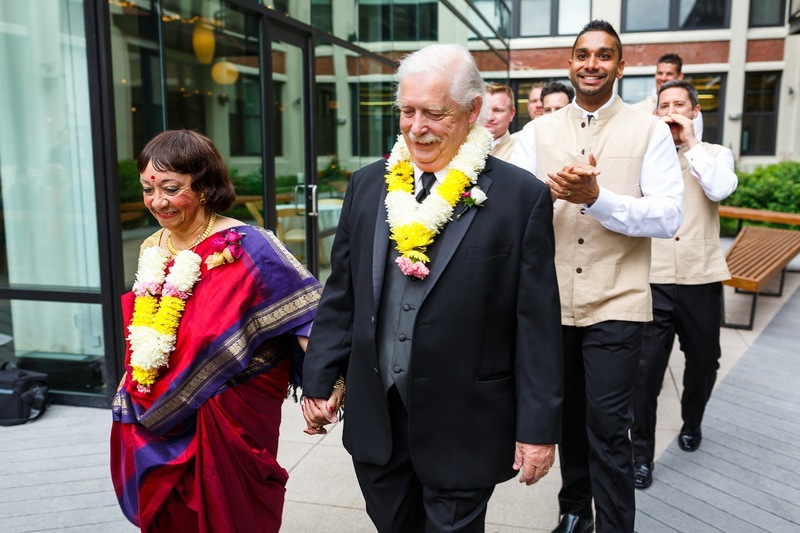 The Indian ceremony took place in the courtyard, under the mandap and included many rituals, such as Saptapadi, in which the couple takes seven steps together, symbolizing an unspoken vow. 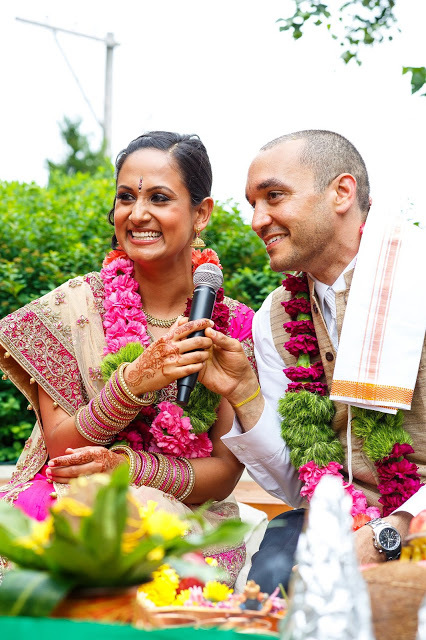 “Somehow I was able to recite the ancient Sanskrit language with stunning accuracy,” Mark remembers. Family and friends participated by showering the couple with flowers and providing blessings for the marriage. 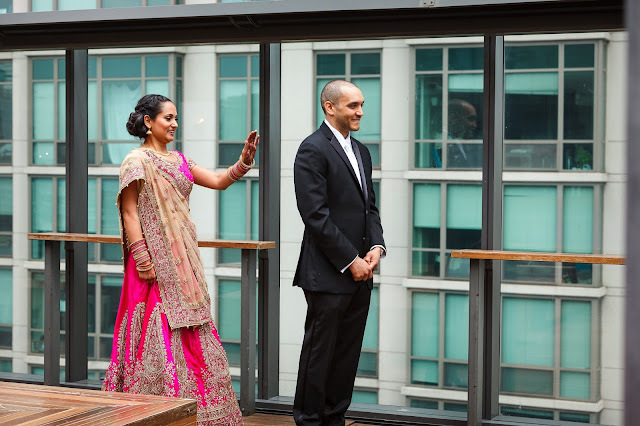 Following a cocktail hour and a brief Western-style ceremony officiated by a friend of the groom, guests filled up on fusion Indian/American fare and cupcakes for dessert. 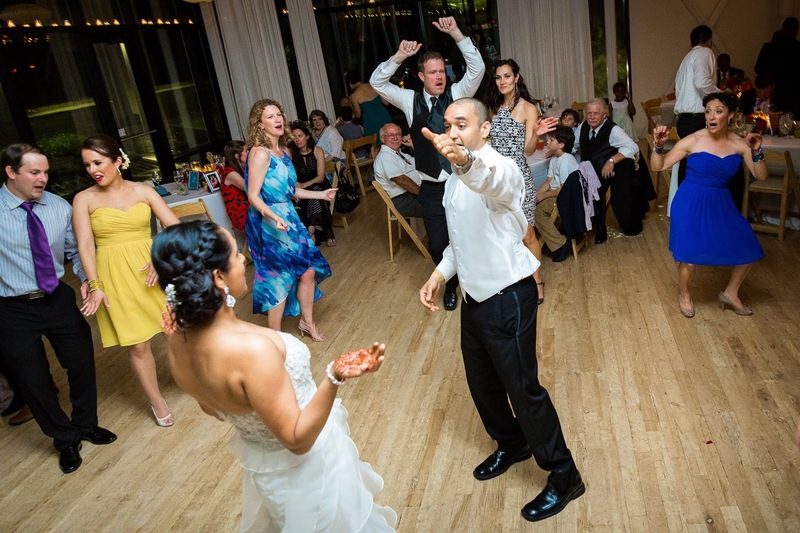 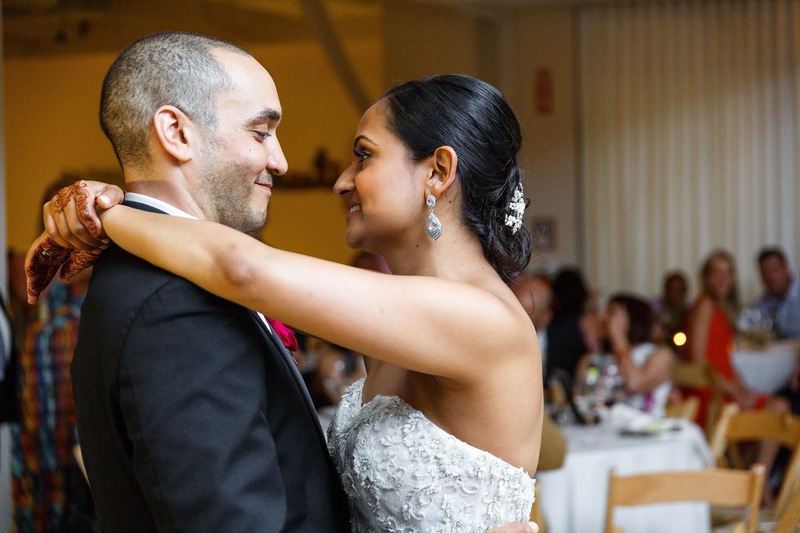 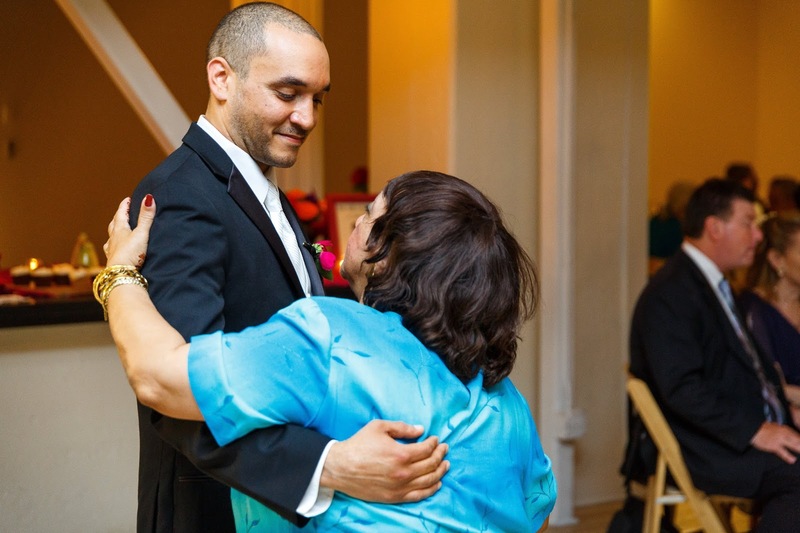 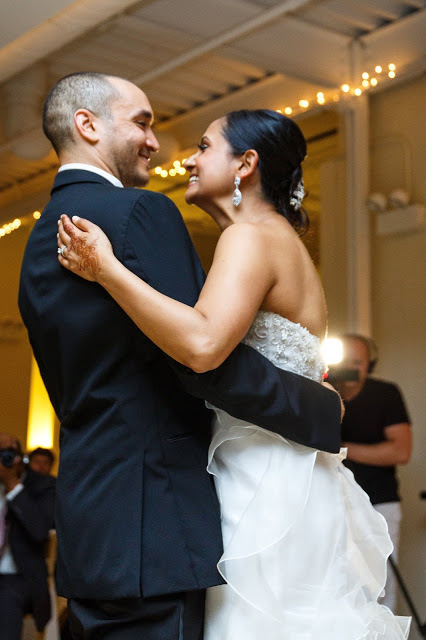 From there, the bride and groom took to the dance floor for their first dance and never left. 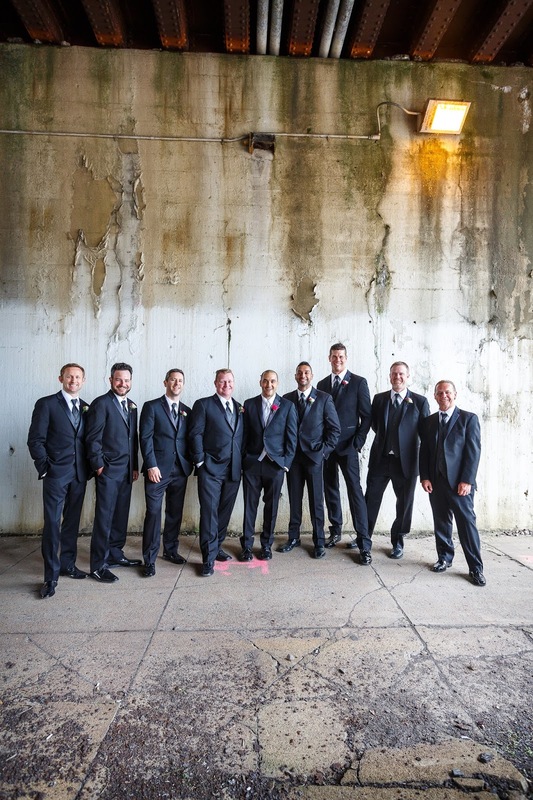 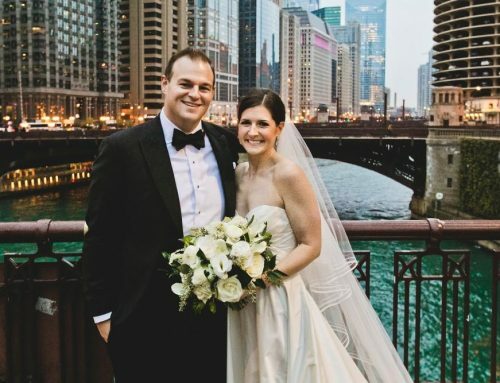 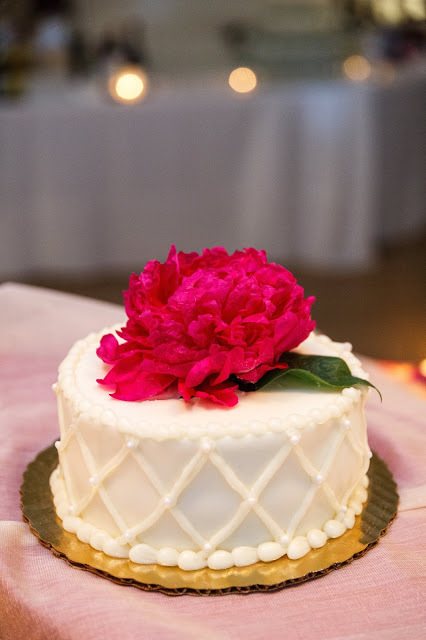 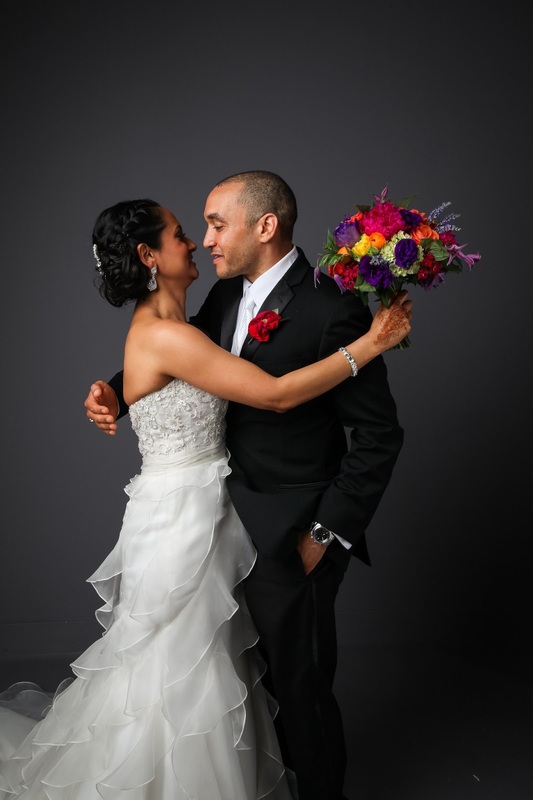 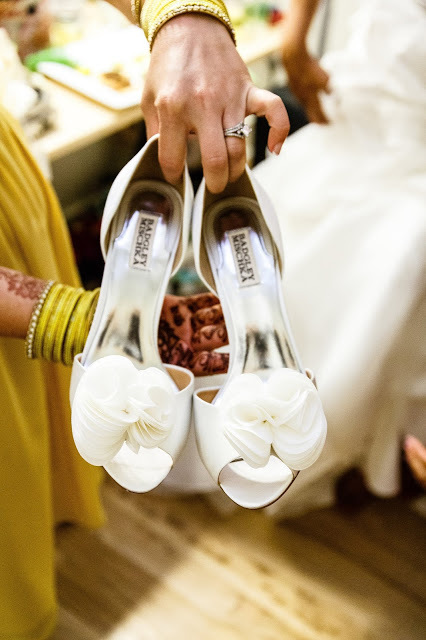 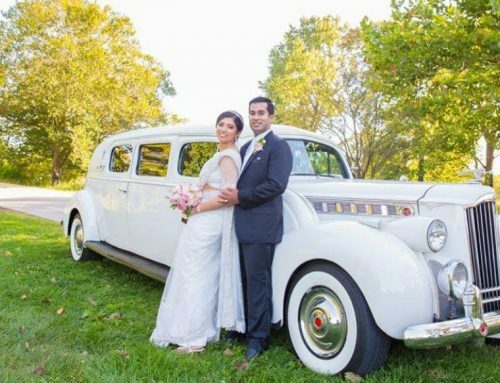 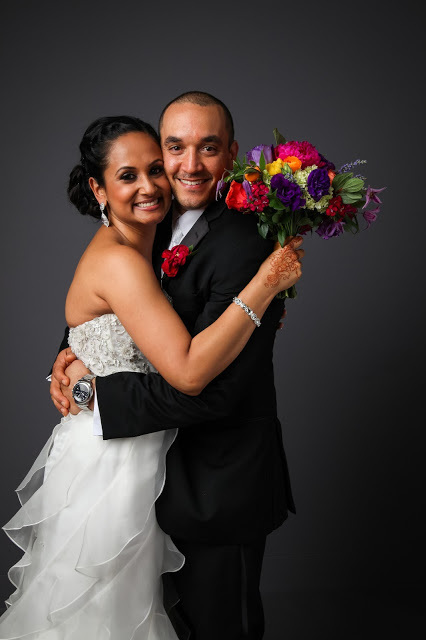 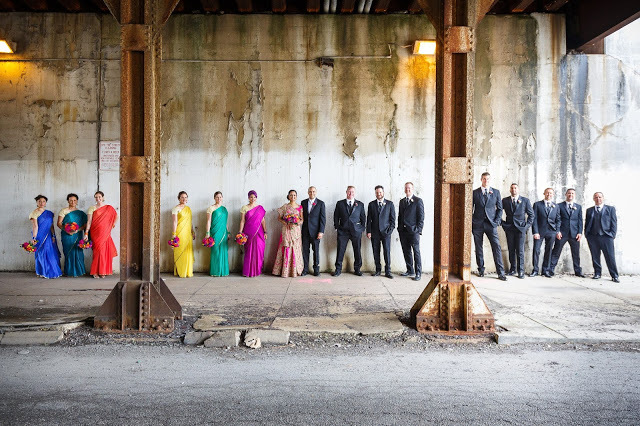 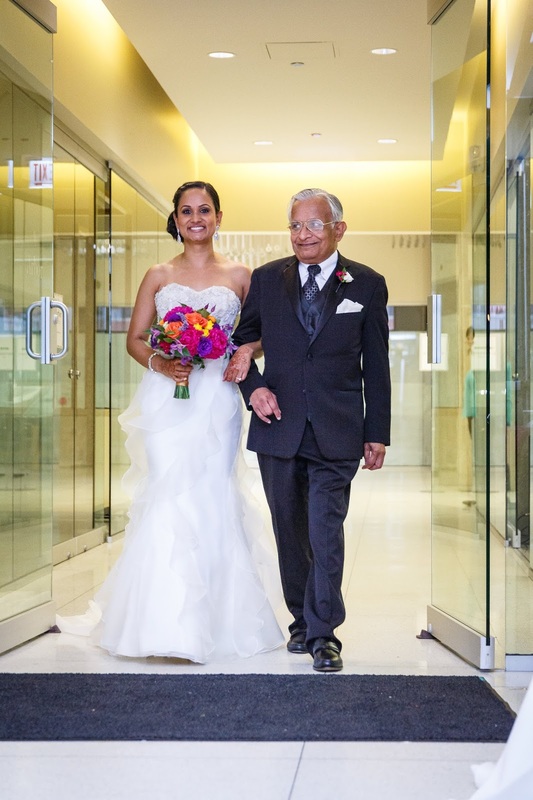 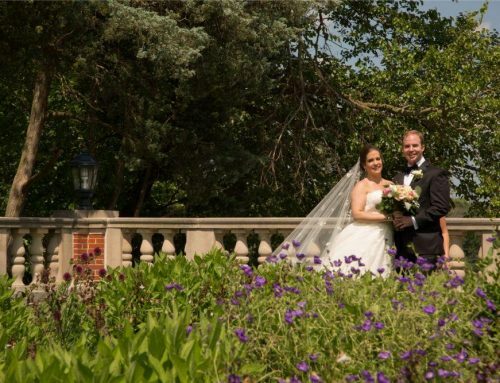 For more amazing Real ChicagoStyle Weddings, visit chicagostyleweddings.com!